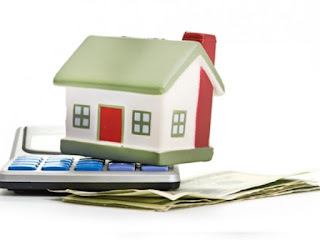 Finance Ideas 4u: Flipping Out: Can You Really Make A Profit From Property? Flipping Out: Can You Really Make A Profit From Property? It's pretty widely known that property is perhaps one of the best investments out there. It's a great way to make a significant profit while also keeping potential risks to a minimum. However, when people think about making a profit from their property, they usually think about renting it out to tenants. This is a great option for many homeowners since it offers a pretty consistent income, but it also involves continuous maintenance and a great deal of responsibility. However, there is another way that you can potentially make a tidy profit from properties, and that's improving them and selling them on. The great thing about this is that you can generate large profits much more quickly than you would if you were renting. But that doesn't mean that there aren't a lot of challenges in your way. If you really want to earn a decent profit from your properties, here are a few things that you need to do. Turning a property into a profit can be a real challenge and going about it all wrong can put you in some serious financial hot water if you're not careful. Because of that, it's a good idea to make sure that you have some expert help in order to keep you on the right track. There are plenty of companies out there who can teach you flipping houses 101 and help you maximise your profits. While it can often be tempting to go it alone, you'll soon come to realize just how many complexities there are in earning a profit on your property and you'll be incredibly grateful for the support. One of the first things that any property connoisseur comes to learn incredibly quickly is that not all properties are created equal. The truth is that many properties simply aren't suitable for being bought and sold on at a profit. This could be because there's simply too much work that needs doing to it to make it financially worthwhile, or it could be that there's not much you can do to raise the value, and the market is stagnating. Over time you'll develop your skills and learn how to spot the perfect property, but in the meantime, there are plenty of resources out there for you to use. Of course, it's not just a matter of the properties themselves; you need to be aware of the movements of the housing market as a whole. This means being switched onto a lot of general economics as well. There's nothing worse than buying a property at what you think is a steal only for house prices to drop sharply just as you're getting ready to sell it on. You can't always predict what the market is doing but being as informed as possible is the best way to avoid any nasty surprises. It's important to remember that flipping houses, as with any form of investment, does come with its own share of risks that you need to be aware of. However, as long as you're careful and make sure that you're taking all of the necessary precautions, you'll be earning a tidy profit in no time!